Mark Twain's students read 22,250 books during the 2015-2016 school year! 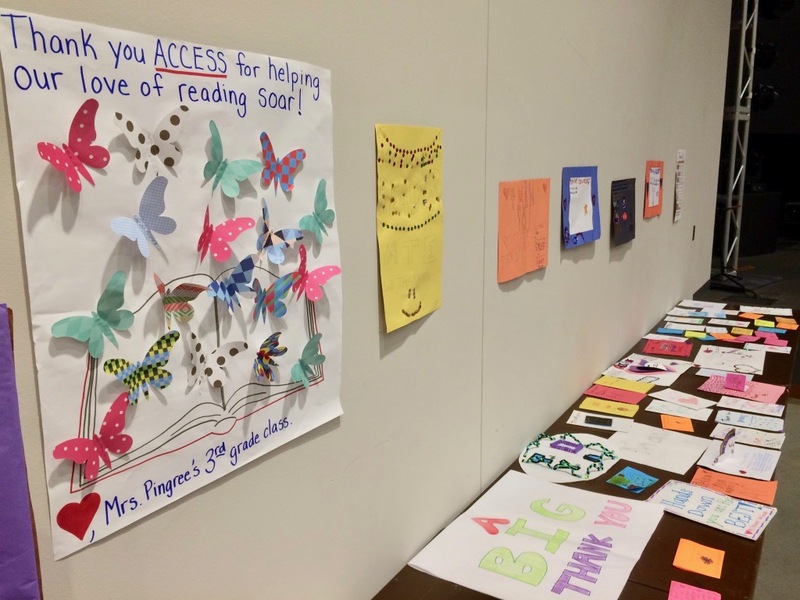 We began tracking their progress in the 2014-2015 school year when Access provided financial support for a software program called Accelerated Reader. AR assesses students' reading ability and provides a suggested reading list. After reading a book a student takes a quiz and earns points based on his or her quiz results and the difficulty of the book. That year the 3rd, 4th, and 5th graders read 4,000 books. The next year Mark Twain added a prize store where students could redeem their points for everything from mechanical pencils to stuffed animals to soccer balls. Access members donated prizes for the store and volunteered on shopping days to help the students redeem their points. Reading quadrupled to 16,000 books. This past year Mark Twain expanded the AR program to include 2nd graders. At FUMCR support for Mark Twain grew beyond Access to involve the entire church and included volunteers that read during the week with students, financial support for the AR program, volunteers for the prize store, and donations of prizes. All of those efforts helped the students read 22,250 books. Thank you from the students, staff, and teachers at Mark Twain, and thank you from me! I hope you'll join pastor Julie and me this week at Access. We'll have the thank-yous from Mark Twain out for you to see, and we'll present part 2 of our Head-Heart sermon series. Pastor Julie, our "feeler", will present the case for why she must have a cold, rational faith of the head. Then I, our "thinker", will respond live. If you missed part 1 where I made a case for faith of the heart and Julie responded, you can watch it here. Very Great Article. it is a wonderful information and also get good knowledge and ideas from this article. The author is giving good thoughts and suggestions to each and every readers through this article. Thanks for sharing this nice article.